"A versatile actor, a Bollywood legend"
Born in the kapoor family which is nothing short of a dynasty in Bollywood and Indian cinema, as the youngest son of Prithviraj Kapoor and as a kid brother to Raj Kapoor and Shammi Kapoor, he created his own path to become one the most handsome and romantic heroes of all times. Shashi Kapoor was born as Balbir Prithviraj Kapoor in Calcutta and started acting right from his very young age as a child artist in the late 1940s. His best-known performances as child actor were in Aag (1948) and Awaara (1951), where he played the younger version of the characters played by his older brother Raj Kapoor and in Sangram (1950), where he played the younger version of Ashok Kumar. As he grew up, Shashi Kapoor started his career as an assistant director to Ravindra Dave for the movie Guest House in 1959. This was followed by movies such as Dulha Dulhan and Shriman Satyawadi. Getting himself ready as an actor, it was in 1961 when he debuted as a leading man in the film Dharmputra and the rest is history. He went on to become a popular solo hero in over 60 films and over 50 multi-starters and also did over 20 films in supporting roles. His popularity kept rising to the top in the 60s, 70s and until the mid-80s in Bollywood. Char Diwari, Mehndi Lagi Mera Haath, Mohabbat Isko Kahete Hain, Jab Jab Phool Khile, Neend Hamari Khwab Tumhare, Raja Saab and Rootha Na Karo are some his big and notable films during 1960’s, especially as most romantic hero with actress Nanda. 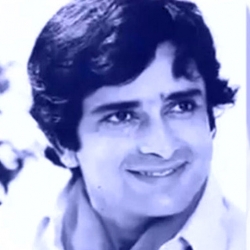 In 1970s and 1980’s Shashi Kapoor went on to strengthen his top hero position further doing films with the popular actresses such as Raakhee, Sharmila Tagore, Zeenat Aman, Hema Malini, Parveen Babi and Moushumi Chatterjee in many films. His first movie with Raakhee, Sharmelee became a huge blockbuster. The other hit films include Jaanwar Aur Insaan, Kabhi Kabhie, Baseraa, Trishna, Chori Mera Kaam, Deewaangee, Roti Kapda Makan, Heeralal Pannalal, Pakhandi, Bhavani Junction, Satyam Shivam Sundaram. He was one of the first indian actors to go international and act in English language films. He starred in British and American films and did extensive work as a popular Indian actor. The films include The Householder, Shakespeare-Wallah, Heat and Dust (he co-starred with his wife Jennifer Kendal) The Deceivers, Side streets, Bombay Talkie and In Custody. He became the one of the highest paid actors in Hindi cinema only second to the league that includes superstars such as Rajhesh Khanna, Devanand and Vinod Khanna in 1970-80 period. He did multi-starters with actors such as Vinod Khanna, Amitabh Bachchan, Jeetendra, Rishi and Randhir Kapoor. His last and most recent film appearances were in Jinnah in 1998, a biographical film of Mohammed Ali Jinnah, in which he was the narrator and another Merchant Ivory production titled Side Streets in 1998. The critically acclaimed New Delhi Times (1985), fetched Shashi Kapoor a National Film Award for Best Actor in 1986. He went on to win many awards. In 2010 he was awarded the Filmfare Lifetime Achievement Award. The other awards include Filmfare Best Supporting Actor Award in 1976, Bengal Film Journalists' Association Award for best actor and Mohammed Rafi Award. Shashi Kapoor was awarded the Padma Bhushan by the Government of India in 2011 and he was awarded the most coveted Dadasaheb Phalke Award in 2015. As a charming hero, Shashi Kapoor romanced the leading ladies of the 1970’s and 1980’s on the silver screen and captivated millions of fans across India and overseas too.  This is a SoulPrints Tribute to the iconic Indian film actor and producer Shashi Kapoor.